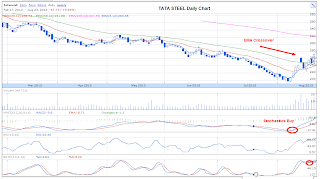 Tata Steel has entered into positive territory and positional traders can enter the stock now. 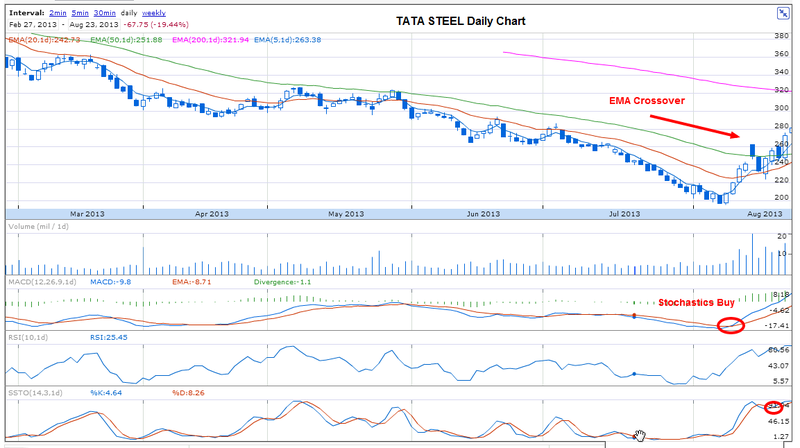 Tata Steel made a 52 week low at around 195 and ever since was moving up. 1.. 20 day Moving Average crossed above 50 Day Moving Average. 2. Stochastics and MACD has given buy signals. 3. Stock is consistently closing above 20 DMA and 50 DMA over past few days. 1. Stock closed above 20 Week Moving Average. 2 Stochastics and MACD has given buy signals. Buy with a short term target of 293-300-320.